Hello! You may have seen me around town. I am the founder and former owner of B Sharp School of Music. After having my first child, managing such a crazy and fast-paced business was not the right thing for my family, so I sold it to it’s now current owners. I still co-own the Scotts Valley location and I’m very proud of both! 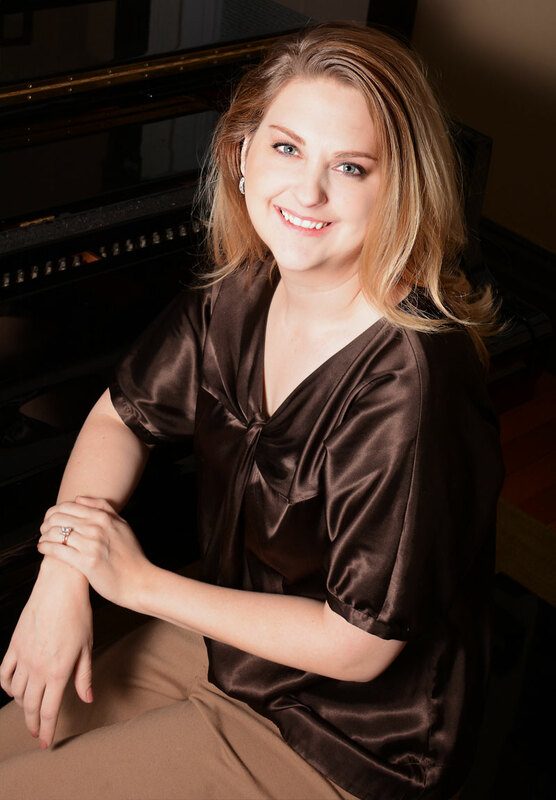 I began piano lessons at the age of seven with a traditional, classically trained, Portuguese lady by the name of Paula McDougal. Mrs. McDougal was a part of the Music Teacher’s of California and participated in the Certificate of Merit program of which I completed by age seventeen. I began teaching when I was approached by a family friend and asked if I would teach his daughter. I was fifteen at the time! From then on, my little studio grew almost overnight to three students- which is why I have always called my studio “The Studio of 3”. I have had seasons where my studio has been up to 63 weekly private students! After some time away from music, I decided to try opening a music school which had always been a dream of mine. I knew Lodi desperately needed one! In 2015 I opened B Sharp School of Music- which is to this day one of the things that I am most proud of. Two years later I opened a second location which I still own with a business partner. I had no idea how it would grow! After having my first child, I soon realized that owning a business the size of the Lodi store was simply too much for me to handle and I reluctantly sold it to it’s current owners- who are still to this day, people that I love and admire. I love music. I love teaching. I love what music does to a community and how it can unify people! Now I am back into the swing of teaching piano: my first love and something that I am able to work at and still be present for my little son at home. I am currently teaching from Music Box in Lodi, some at B Sharp and a little from my home. I have taught for over 18 years and I have taught all ages. My specialty is teaching toddlers in both a group and private setting. If you or a family member are interested in lessons, please don’t hesitate to reach out to me. I have a very limited amount of teaching slots. Currently, I am accepting students at Music Box on Friday afternoons from 1-6pm. I have a traditional approach to teaching piano but I also will take time to encourage my student’s interests. I encourage all of my students to allow me to teach them through a method book and towards the last half of their lesson we will focus on music that they are interested in. I believe that it is very important to complete the method books to ensure that no concepts are missed. It is in my opinion that this prevents “holes” in their learning. It also aids in sight reading and learning basic practice skills. In everything that is worth something in this world, there is a commitment and perseverance requirement. Music is the perfect vessel to learn that hard work and consistency can bring success. While music is fun and rewarding, it can also be difficult. Do not be surprised when you or your child are not motivated to practice! There are seasons in music learning. While some seasons are enjoyable, other seasons are alot of work and require patience! These lessons are designed to help a very young child transition to full 30 minute private piano lessons. These lessons are given on a weekly basis and does not require any weekly practice. Concepts learned are reviewed every week along with one or two new concepts. Soon, the child will have a wide knowledge range of musical concepts that will build a strong foundation for their future music lessons. Depending on the child, lessons can range from what I call “music exposure” to 15 mins of a private piano lesson. I believe that it is most important for a child this young to have their interest in music explored and nurtured to set the stage for actual lessons. This can mean being introduced to other instruments besides piano. I may bring in a ukulele or a flute for them to hold and try. Once they approach age 5, I slowly begin to introduce the concepts of practicing, note reading and the lessons become more piano focused. This eventually evolves into a 20 minute lesson until they are ready to graduate to 30 minute lessons! Currently, I am accepting students at Music Box on Friday afternoons from 1-6pm. Please allow me one business day to return your call, contact or text.